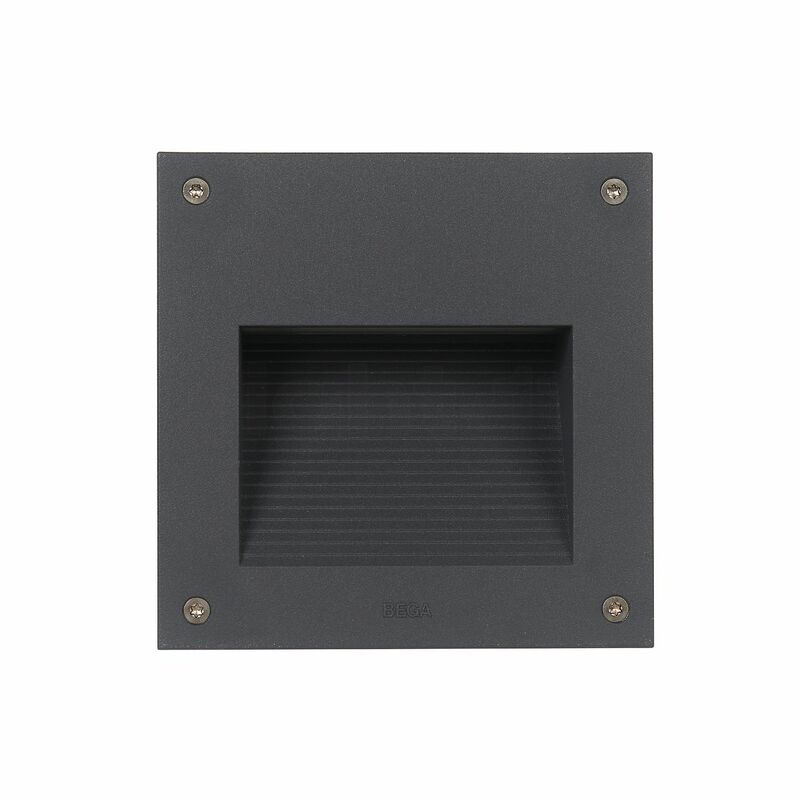 The Bega 22272 recessed wall light LED is a highly minimalist exterior light. The wall light consists of a square-shaped lamp body that houses an energy-efficient LED module behind a sheet of clear glass. The 22272 recessed wall light LED, a product of the quality manufacturer Bega, is manufactured in Germany from high-quality materials, such as cast aluminium, aluminium and stainless steel. The reflector is made from pure anodised aluminium. The luminaire made in Germany is available in two discreet surfaces finishes: graphite and silver. The wall light stands out for its simple, functional design. 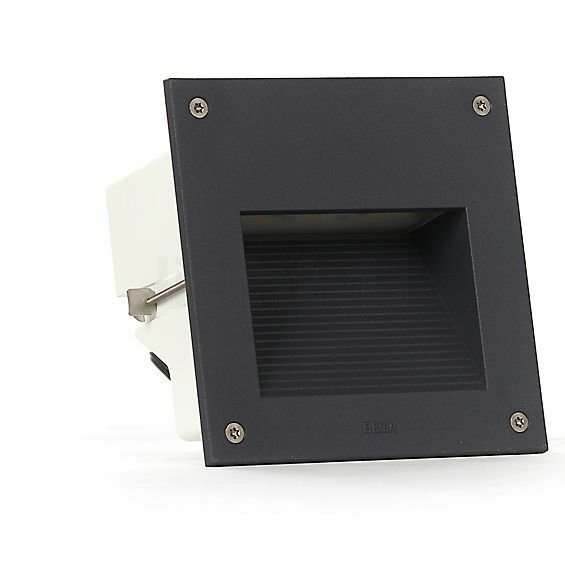 The position of the integrated LED module ensures glare-free lighting. The Bega 22272 recessed wall light LED emits an asymmetrical, flat beam of light. The light emitted is shielded from above, thus directed downwards in a wide angle. For its light production, the purist wall light consumes only little energy. Mere 6.3 watts are consumed in producing 735 lumens, which is brighter than a 60 W incandescent lamp. This not only benefits the household budget, but also the climate and environment. Furthermore, the wall light impresses with a low installation depth of only 11 cm, in addition to its patented installation system that allows for an easy and economical mounting in solid or hollow walls. Labelled IP65, the exterior light is dust-tight and protected against jet water coming from any direction. Tell other customers and us about your experiences with the 22272 - recessed wall light LED ! Both solid and hollow walls can be considered for this wall luminaire with the low installation depth of only 11 cm. Thanks to the patented mounting system, the Bega wall lamp can be quickly and easily recessed into the wall. Then the 22272 provides a wide and even illumination of surfaces and paths. In this way it serves as an orientation light that reveals tripping hazards and enables residents and visitors to move around safely.